When I was a teenager, I liked kitchen gadgets as gifts (yes, me, who can barely cook…), but I’m guessing that’s not the norm, so here are my top non-kitchen picks for young teens this Christmas! If you’re not already a member, be sure to sign up for a FREE 1-month Amazon Prime trial, which will give you FREE two-day shipping from now through Christmas at Amazon.com so that you can take advantage of any hot deals and pick up any last minute gifts or stocking stuffers without having to pay shipping! 1. Apples to Apples is my favorite board game, and it’s sure to keep adults and teens laughing with it’s funny, challenging and wacky comparisons! 2. Reminiscent of the boom boxes we carried when we were kids, you can take your music on the go with this portable boom box! 3. Rated E for everyone, this game features over 1,000 realistically rendered cars and more than 20 courses, 60 variations and much more. 4. Taylor Swift has taken the country music scene by storm, and even my little ones love her music. Her new album, Speak Now is just the latest in a long list of hits! 5. The iPod nano is smaller and lighter than ever so you can clip it to your sleeve, jacket, or running shorts and keep your favorite songs at your fingertips. The anodized aluminum finish in six bright colors completes the design! 6. This hand-crocheted hat is made from very soft wool/acrylic blend yarn and embellished with a brown crocheted flower. It’s an elegant way to stay fashionable and warm this winter! 7. The Havoc Heli has twin rotors for stability and four-way control for flying in any direction with accuracy — up, down, under, over, left, right, forward and backward. Intended for indoor use, the helicopter operates outdoors with zero wind conditions, and can fly up to 100 feet high in the air. 8. 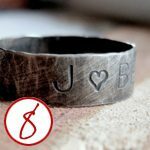 This rustic sterling silver band is heavily oxidized and handstamped with a word or phrase of your choice. It’s lightweight,comfortable, and casual enough to wear anytime for a man or woman. 9. 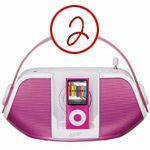 This 15-piece kit comes with a variety of cases, car jacks, earphones and more to protect and accessorize the iPod Classic.